One the aspects of fabric I love is the shapes you can make with by simply folding, from pleat tucks to three-dimensional shapes. There is so much fun to be had by simply playing with fabric. 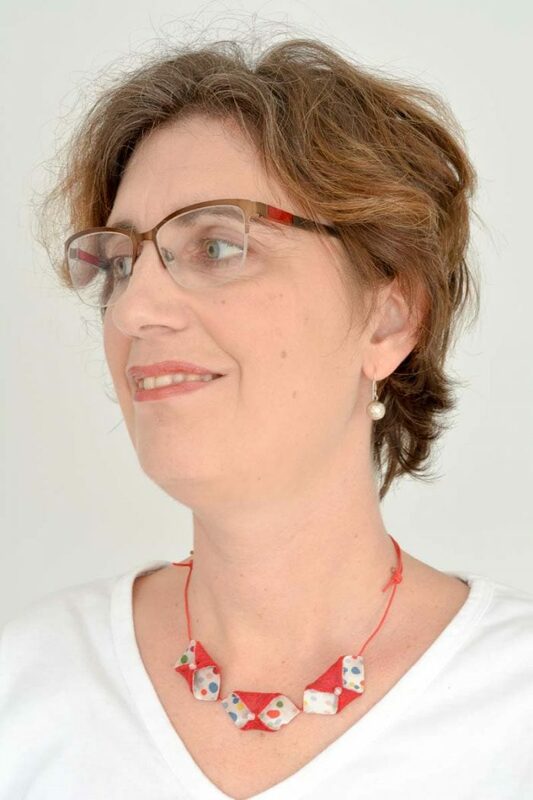 Squares, triangle, circles can all be folded to creating interesting shapes to design your own necklace. Welcome to Day 3 of my 12 Days of DIY Christmas Gifts series. 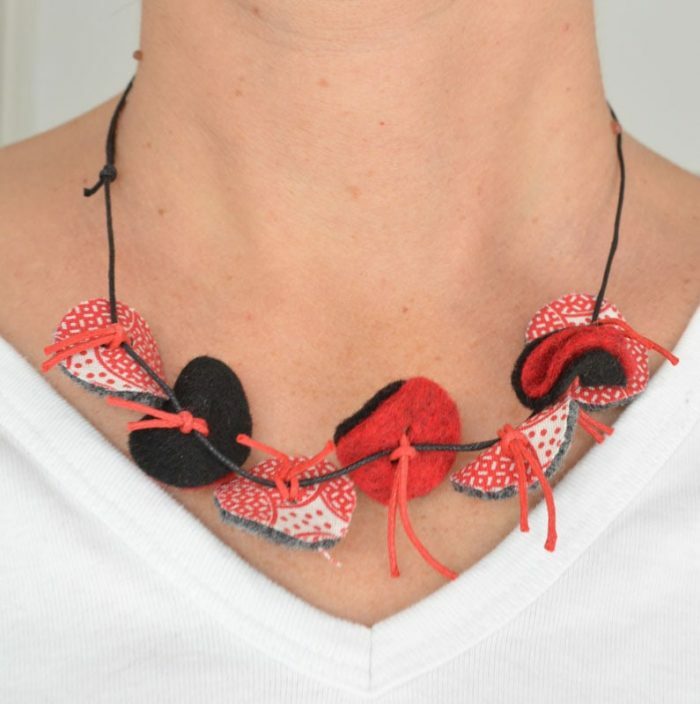 This funky felt necklace is really quick and easy to make – bling it up or tone it down the choice is yours. 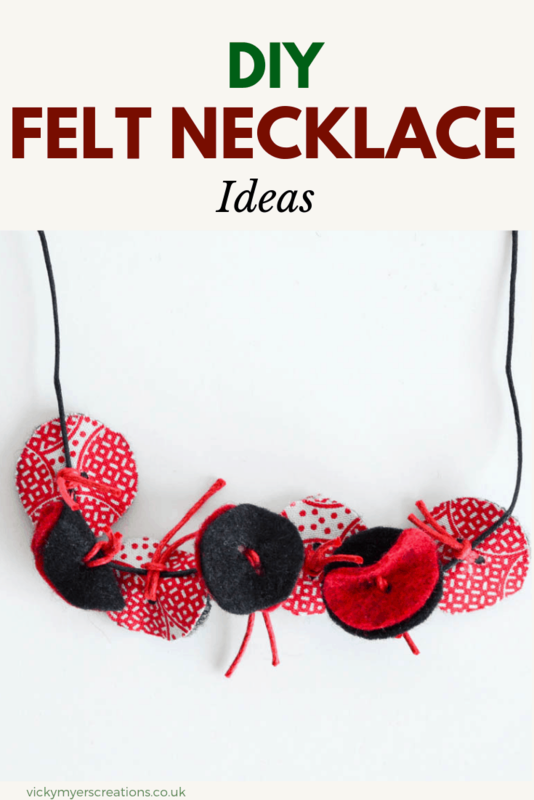 Play with shapes to design your own necklace. Firstly I am sharing with you a square shape, folded and bead added. Cut a piece of iron on adhesive, this comes with paper on one side. Keeping the paper side upwards iron it to the wrong side of the felt. 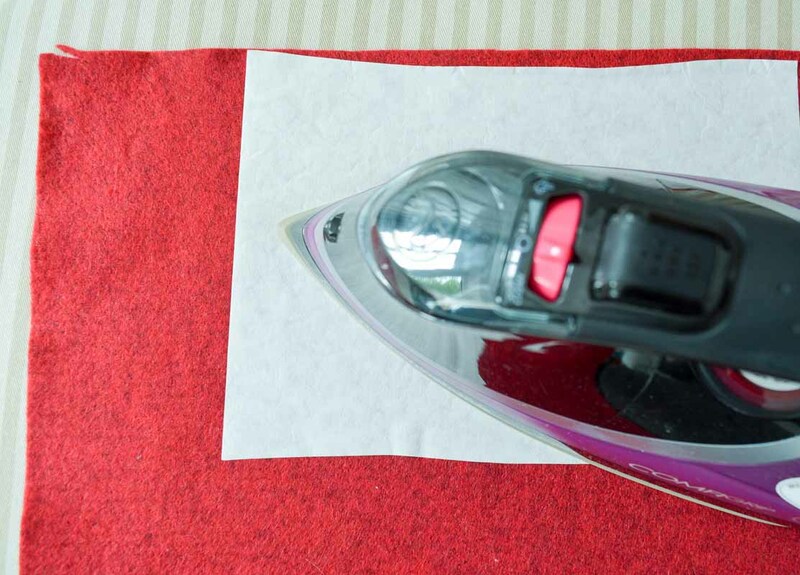 Peel the paper off, place your fun fabric, right side facing you on top and iron to adhere. 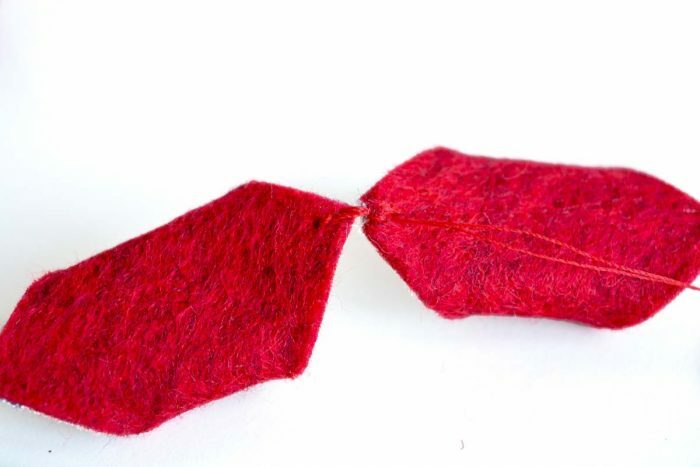 Cut squares of felt 1 1/8″ in size. Stitch opposite corners together, and add a bead. On the wrong side join the edges of the shapes together with small stitches. 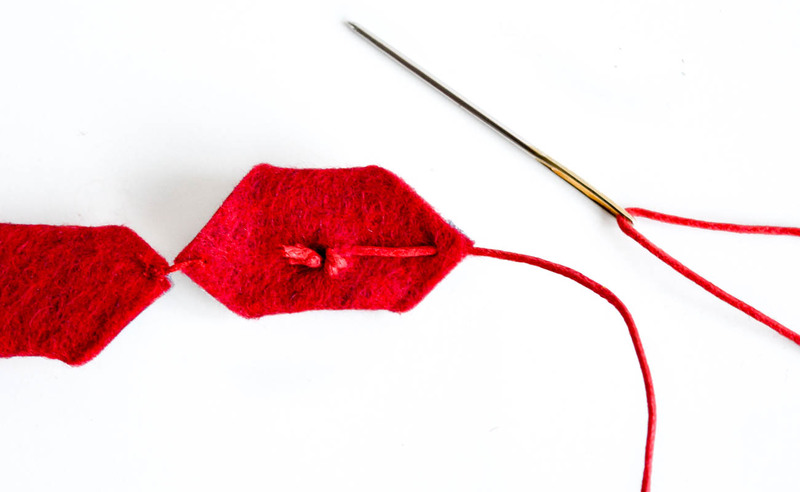 Add necklace cord to each side of your felt shapes, stitching to the underneath. 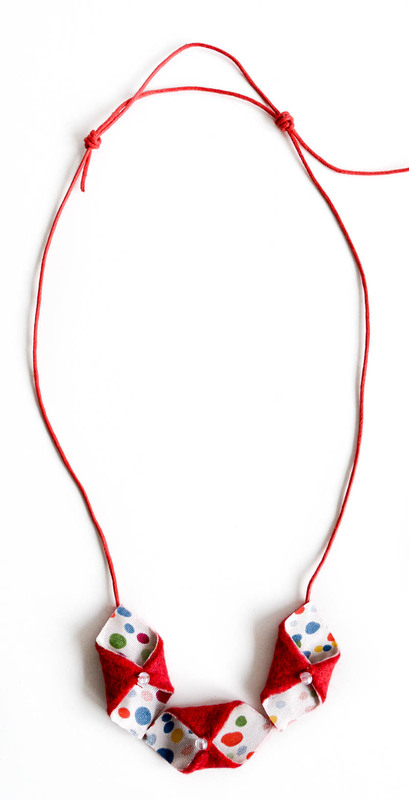 Tie the two cords together with an adjustable sliding knots. This great tutorial shows you how to do this. The second design is with circles of felt. 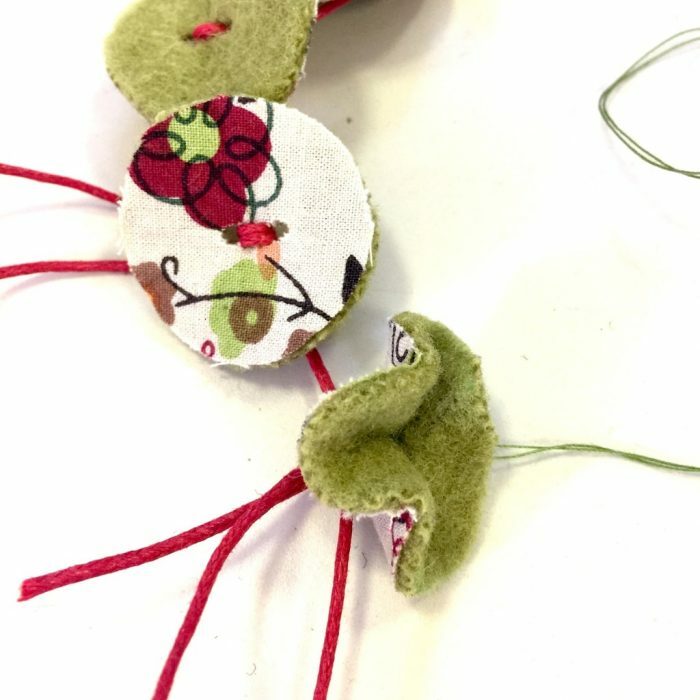 Use a cotton reel as a template cut out various felts in circles. 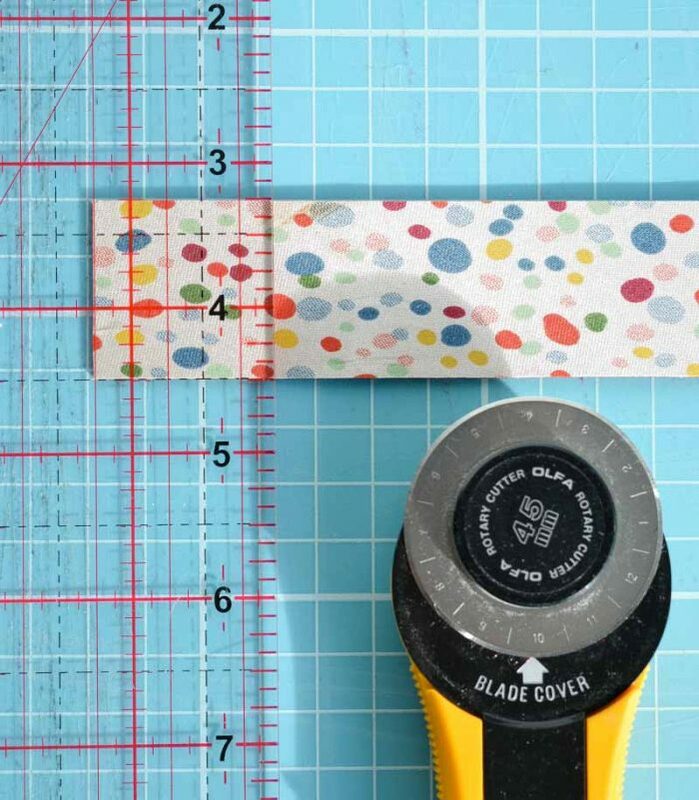 Use a hole punch to cut two holes in the centre of the circles (like on a button). 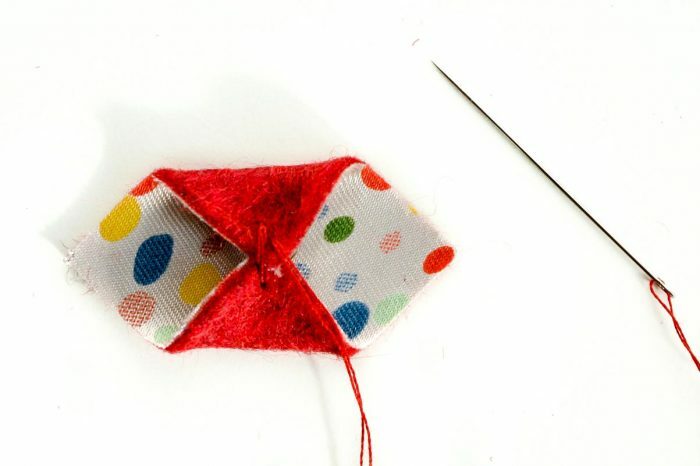 Cut three inches of cord and fold in half, thread through the two holes as below. Place over your main necklace cord and thread the loose ends through and pull tight. 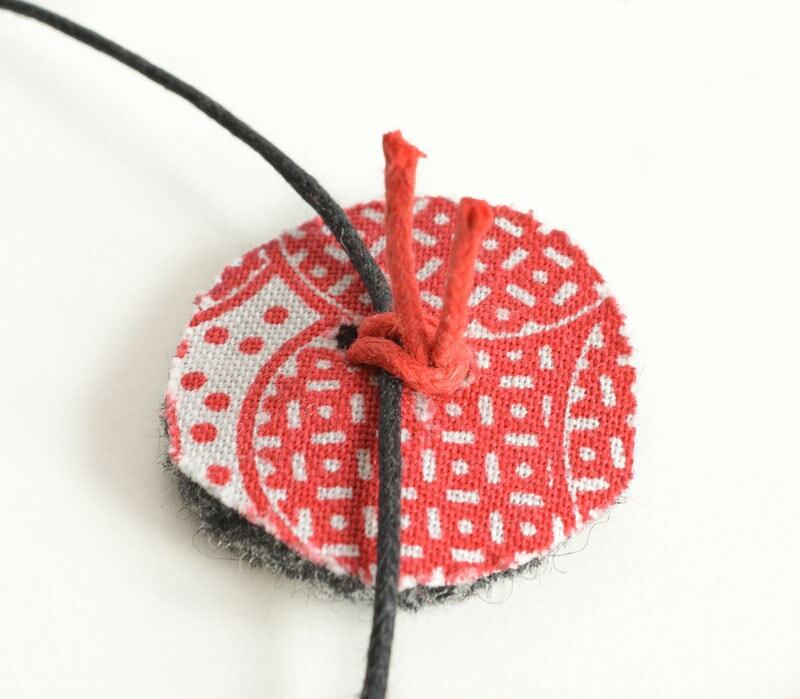 Add a variety of circles to the necklace cord, then finish with slip knots. 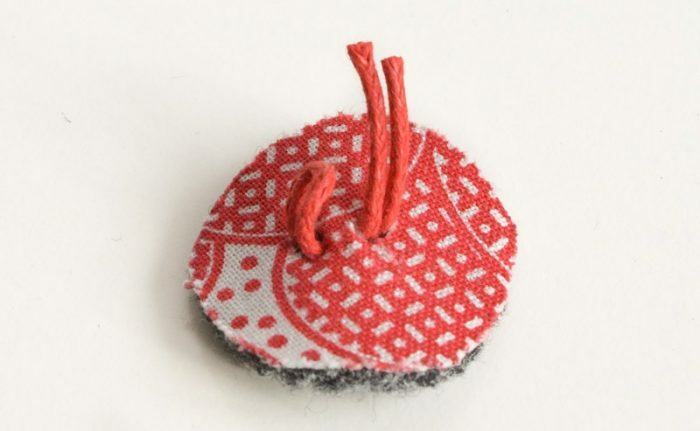 Or how about adding some stitches to the circles to give a three-dimensional shape? 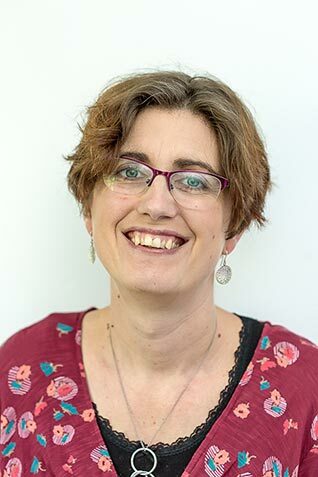 If you love funky statement necklaces check out this great t-shirt necklace tutorial or how about a gold leaf necklace for Christmas? "DIY leather plant pot holder"
"DIY Wallet – upcycle a bicycle tyre"